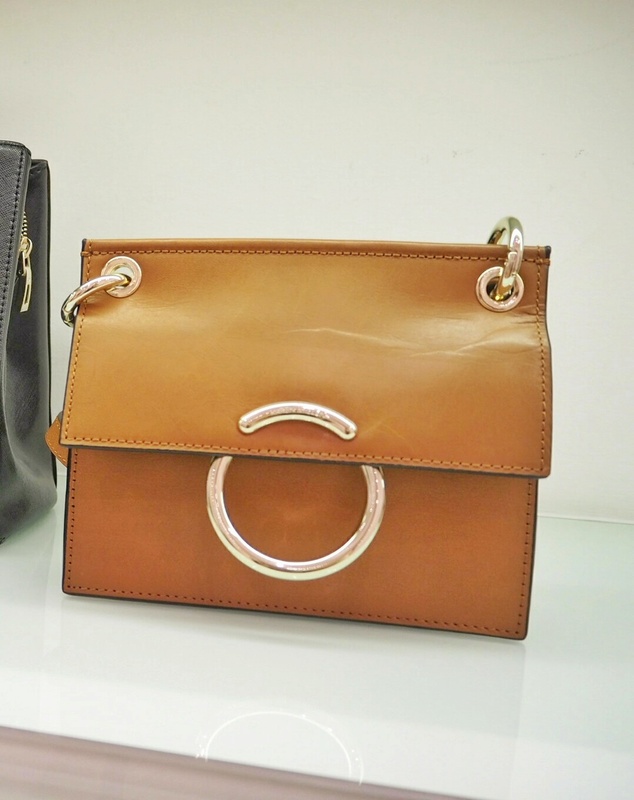 On the first day of Christmas intu gave to me: A Karen Millen bag filled with amazing goodies! Thank you so much to intu and the brands who contributed! 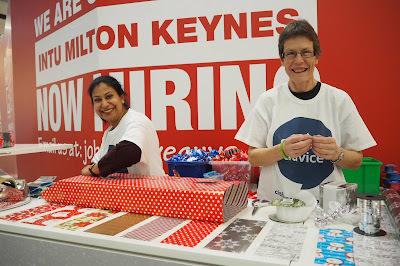 It was the first night of December and a few of us MK bloggers had a task to do…but first coffee! Meeting at Pret, our hosts Becca and Leigh talked us through the task and how bloggers play a pivotal role in generating awareness for new trends and products. 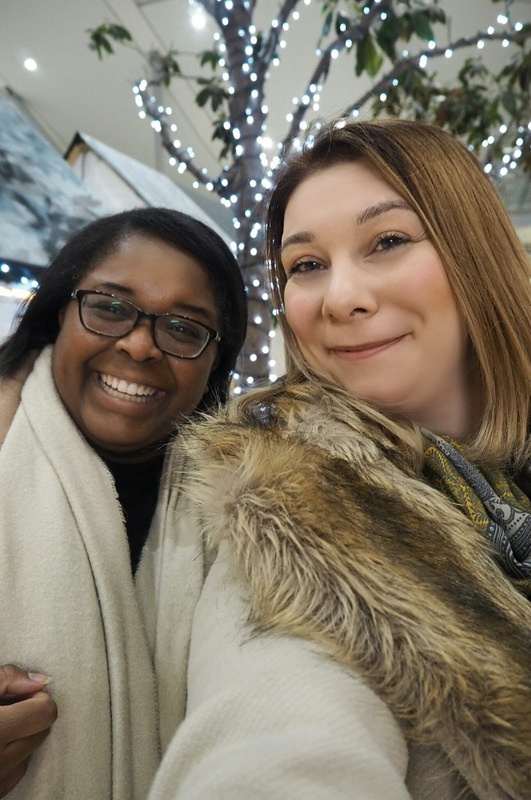 It’s great to see companies such as intu working alongside bloggers and creating a network between bloggers and brands. 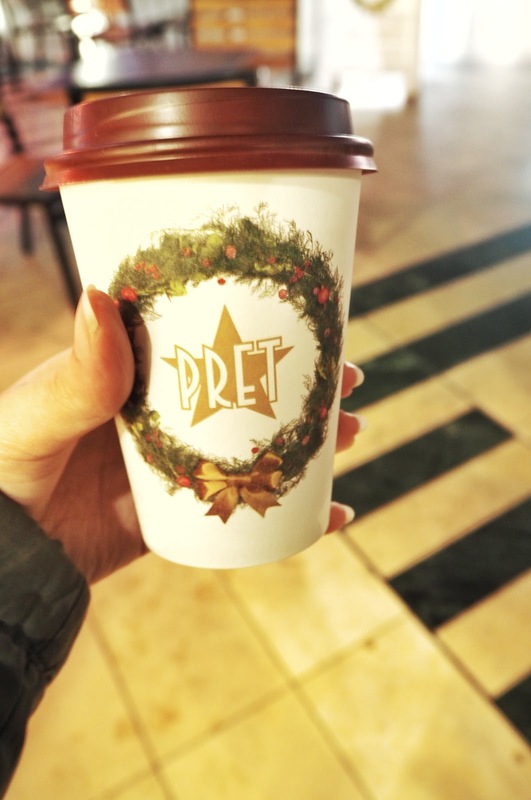 So, onto the task in hand… After enjoying a Love Bar Latte from Pret, (if like me you haven’t had one before, it’s got a sweet taste similar to a Gingerbread Latte, so enjoyable I popped back for another one!) 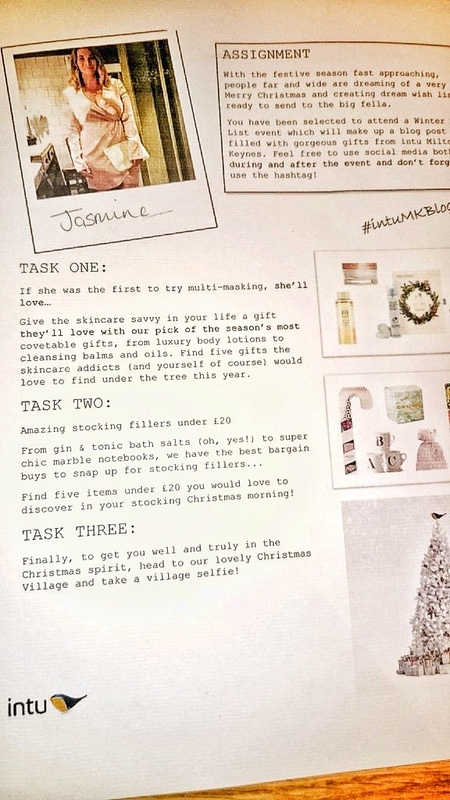 us bloggers descended into the chilly air with our task sheets, like elves on the hunt for some Christmas gifts! Give the skincare savvy in your life a gift they’ll love with our pick of the season’s most covetable gifts, from luxury body lotions to cleansing balms and oils. Find five gifts the skincare addicts (and yourself of course) would love to find under the tree this year. 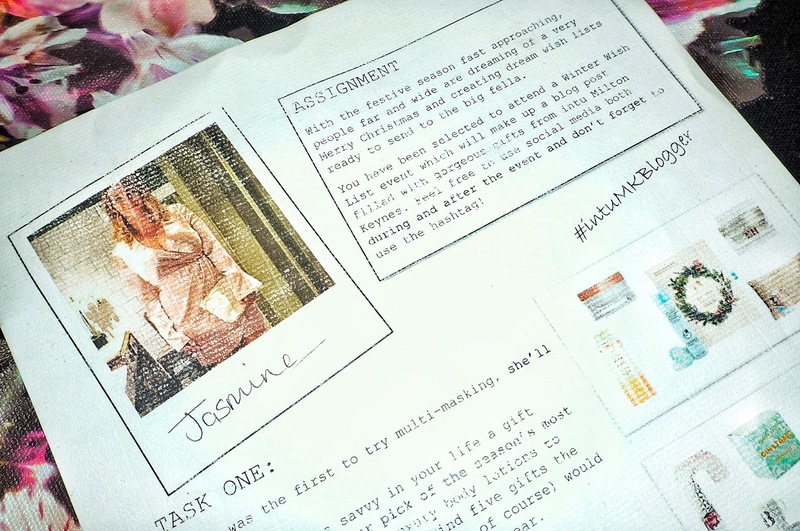 This task was quite challenging as I tend to find a skincare product I love and stick to it! 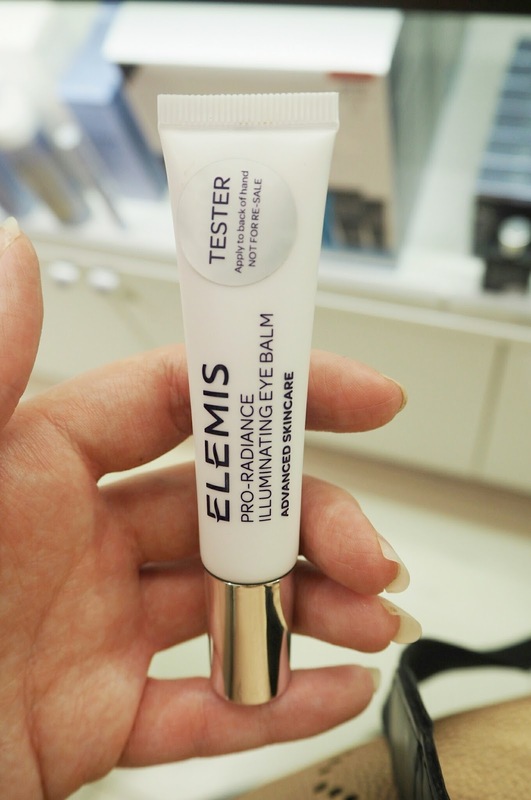 It was imperative for me to find some amazing products if they’re going to stand the test of time. Clinique ‘7 Days Of Clinique’ Advent Calendar – Ideal as a beauty advent calendar for seven days before Christmas, this gift set contains some of Clinique’s best loved products including: Dramatically Different Moisturising Lotion and Take The Day Off Makeup Remover. I love how it contains good quality skincare products such as Pep-Start Eye Cream, as well as beauty items such as mascara and lip balms. 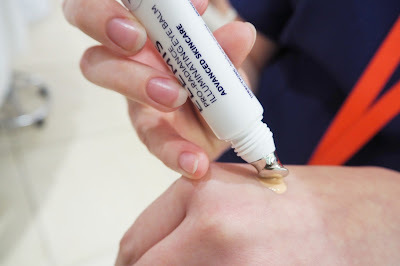 It can be expensive to purchase a good quality eye-cream on its own, let alone a whole set of products. 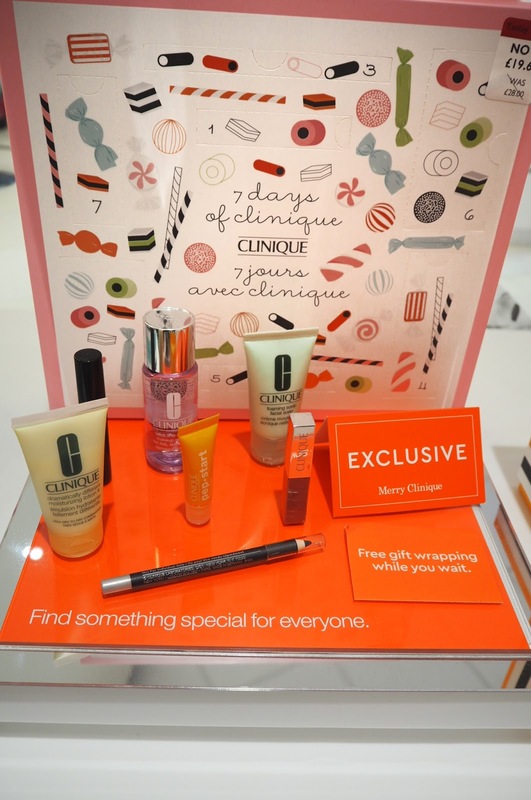 Yet, the 7 Days Of Clinique Advent Calendar is only £19.60, reduced from £28,00 in Debenhams – A definite bargain buy! 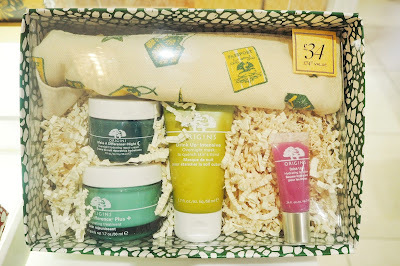 Origins ‘Hydration Oasis’ – A great set to keep the cold weather at bay to ensure your skin stays nourished. The set includes: Drink Up Intensive Overnight Mask, Make A Difference Plus rejuvenating treatment, Make A Difference Night Overnight hydrating repair cream, Drink Up Hydrating Lip Balm in plum punch. 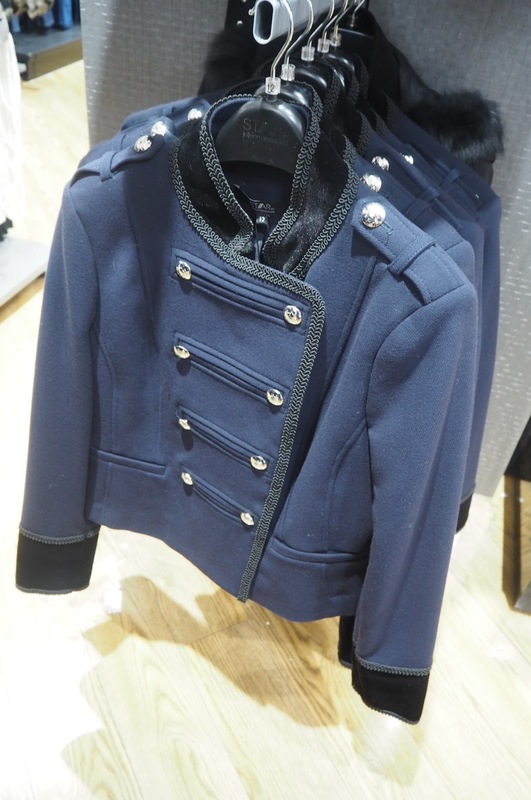 Priced at £34 in Debenhams. 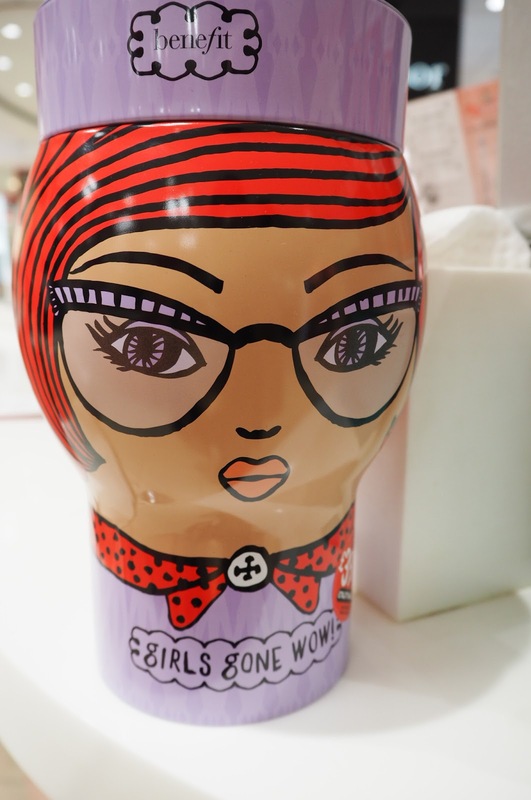 Benefit ‘Girls Gone Wow’ Christmas Gift Set – You’ve only got to look at the packaging to see why this product has made my list. Eye-catching, brightly coloured tin packaging, containing some amazing products: The POREfessional, Gimme Brow, They’re Real (tinted primer) and Benetint mini. Wow indeed! 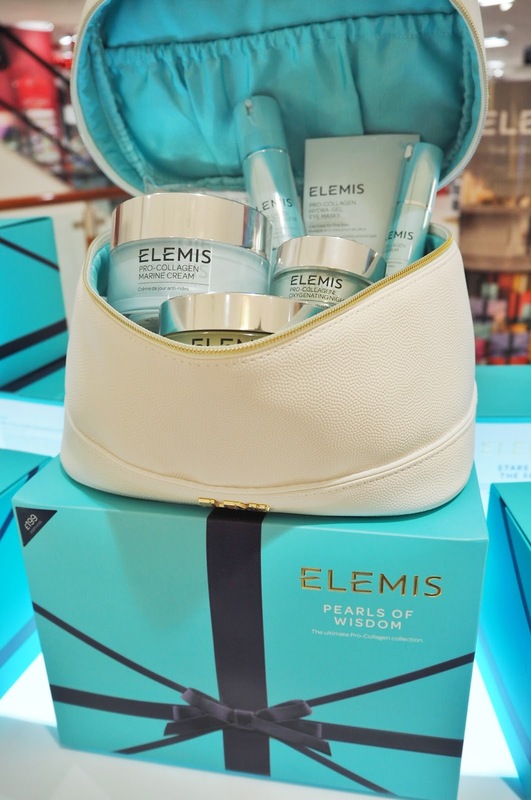 Priced at £39.50 in Debenhams. 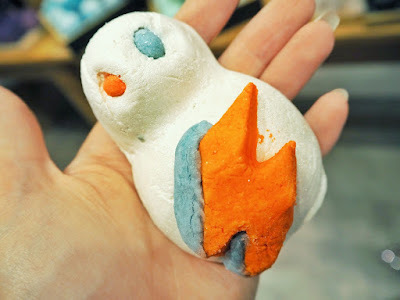 Lush skincare – Always a lover of their bath bombs, Lush also offer a fabulous range of skincare products to keep cracked lips, heels and dry skin at bay. 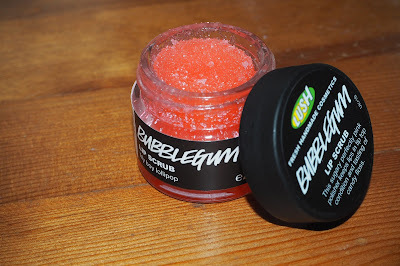 One product I had my eye on at the Lush MK Bloggers Event in September was the Bubblegum Lip Scrub. 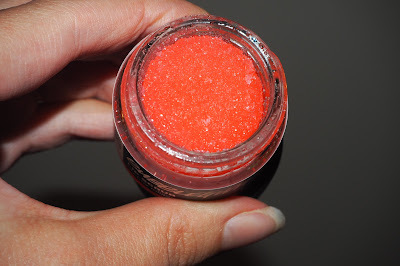 The Bubblegum Lip Scrub keeps lips in tip-top condition, smells divine and tastes (yes, I said tastes) like candy floss. 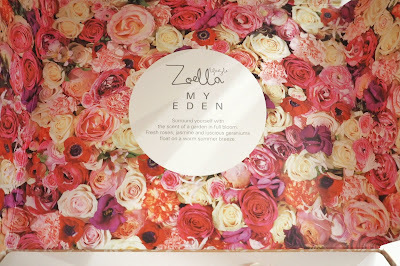 Did I compare us bloggers to elves?! Elves sure love candy! 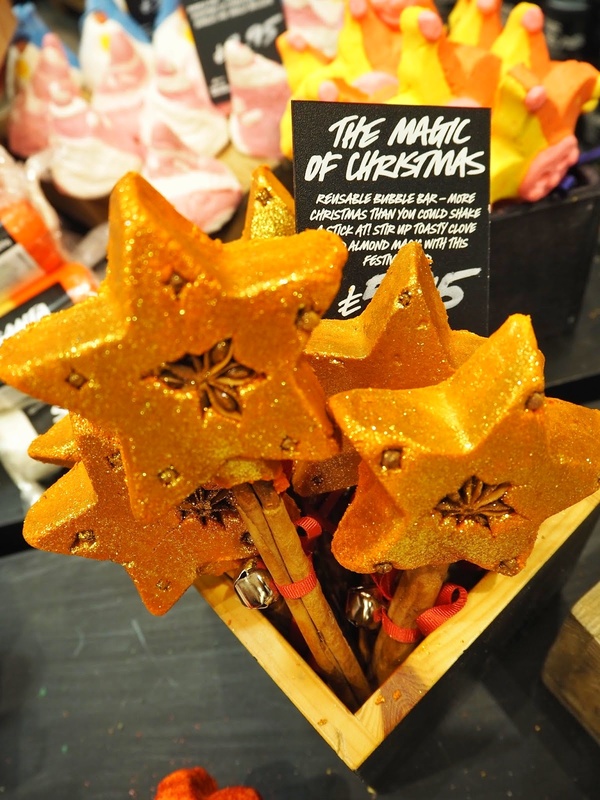 Get your candy fix for just £4.50 at Lush! 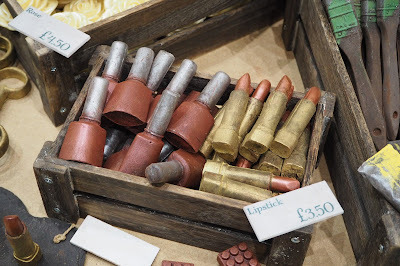 Amazing stocking fillers for under £20. 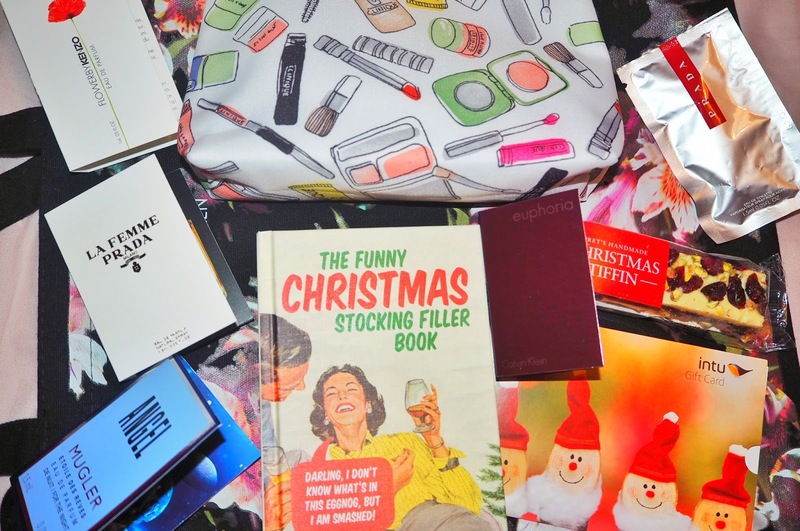 Find five items under £20 you would love to discover in your stocking Christmas morning. New Look shimmering mermaid Makeup Bag with matching brushes. 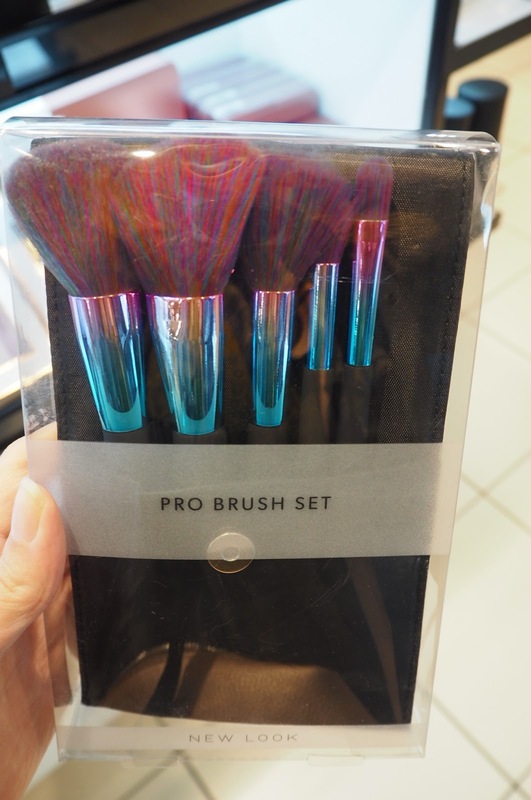 I have been coveting Spectrum makeup brushes in similar colours with the New Look brushes being fabulous, cheaper alternatives at £14.99 for the set. I have shamefully failed to remove my makeup from my clear plastic flight bag since returning from San Francisco, not very bloggeresque I know! I’m like a magpie when it comes to sparkles and glitter and I love the way this makeup bag shimmers in the light. The bag is £7.99 so with the brushes the cost is over my £20 budget, though I wanted to include them both. 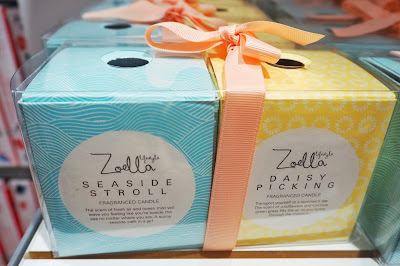 Zoella My Eden Candle and Reed Diffuser Collection– Inspirational, blogging sensation Zoella has her own collection in Debenhams with a variety of gift ideas, including candles and reed diffusers. 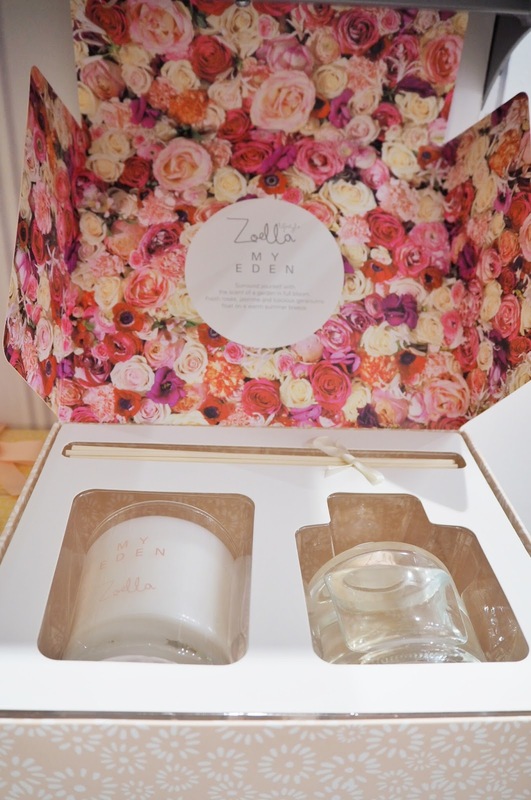 I particularly love her My Eden Candle and Reed Diffuser Collection (priced at £20 in Debenhams), which has a summery scent of fresh roses, jasmine and geraniums, presented in a beautiful keepsake box. 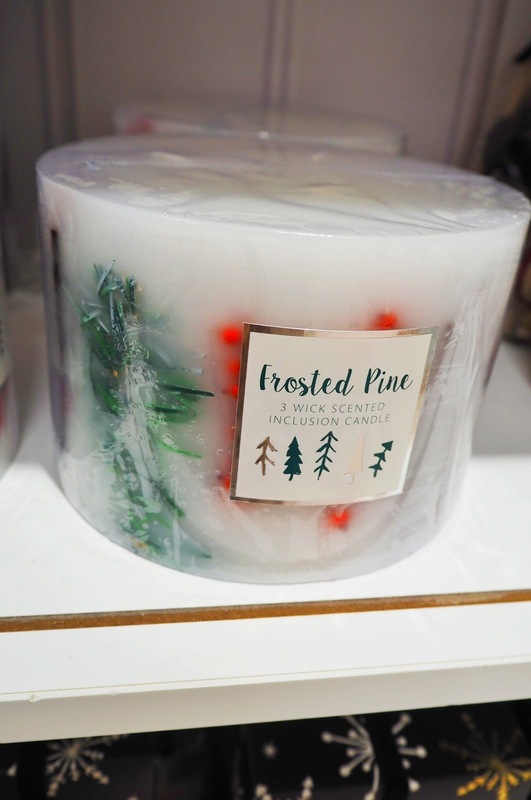 Debenhams have a fantastic range of Christmas themed candles with this frosted pine candle and tree topped Baylis & Harding candles, seasonal must haves for an ambient winter vibe. 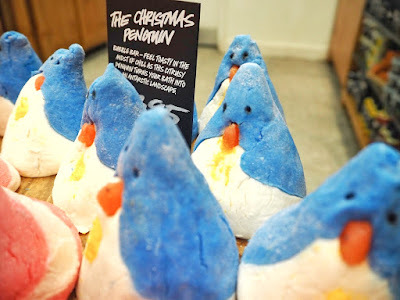 Lush – It wouldn’t be Christmas without Lush and those of you regularly reading the blog will know I couldn’t get enough of their amazing Christmas range at the Lush MK Bloggers Event. I’m even running a Christmas giveaway including a Lush The Magic Of Christmas reusable wand, which you can win by clicking the giveaway link at the the bottom of my Christmas Wish List blog post here. 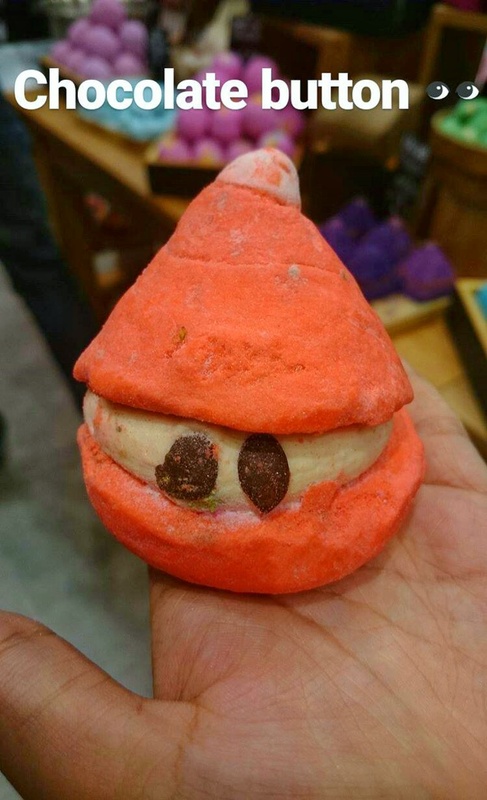 My favourite from the Christmas collection was Snowie, a Ziggy Stardust inspired bubble bar paying homage to late British legend David Bowie. If Snowie doesn’t pull on your heartstrings, The Christmas Penguin and Peeping Santa surely will. 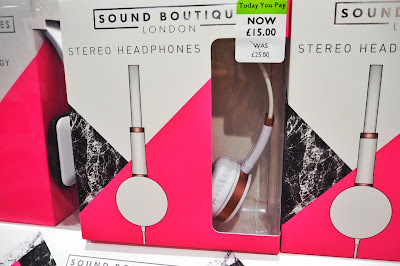 Headphones – If the revolutionary Beats By Dre headphones are out of your budget or you fancy a girlier set of headphones, check out the ones below from Debenhams and H&M. These white and rose gold South Boutique London stereo headphones are available in Debenhams for £15. 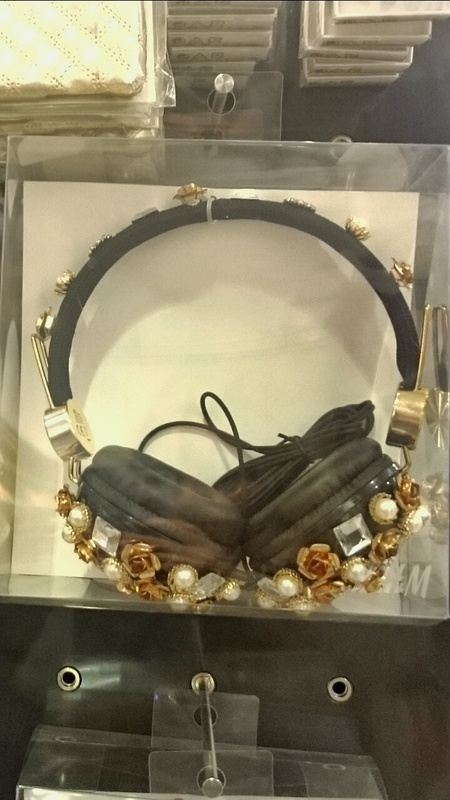 If bling is more your thing, these jewel encrusted embellished gems from H&M are available in store. 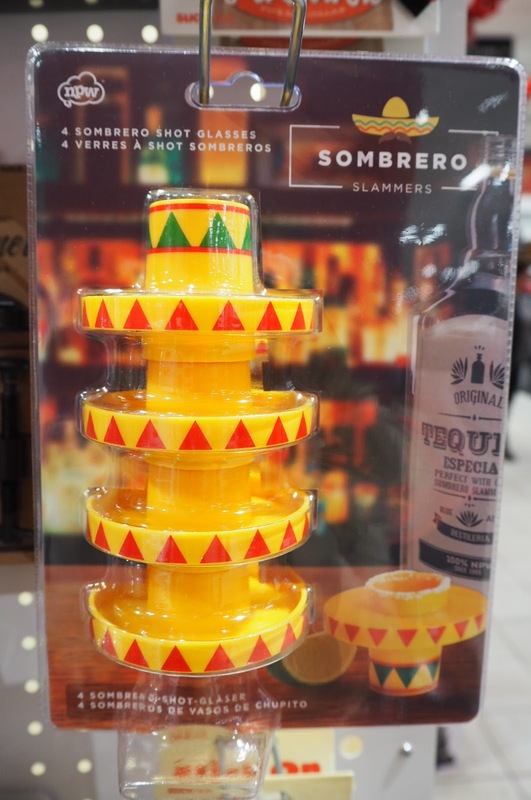 Shot/Cocktail Glasses – Get the party or should I say fiesta started with these fun drinking glasses – The Mexican sombrero slammers shot glasses are available in Debenhams for £10 and would be a fun Secret Santa present as well as stocking filler. 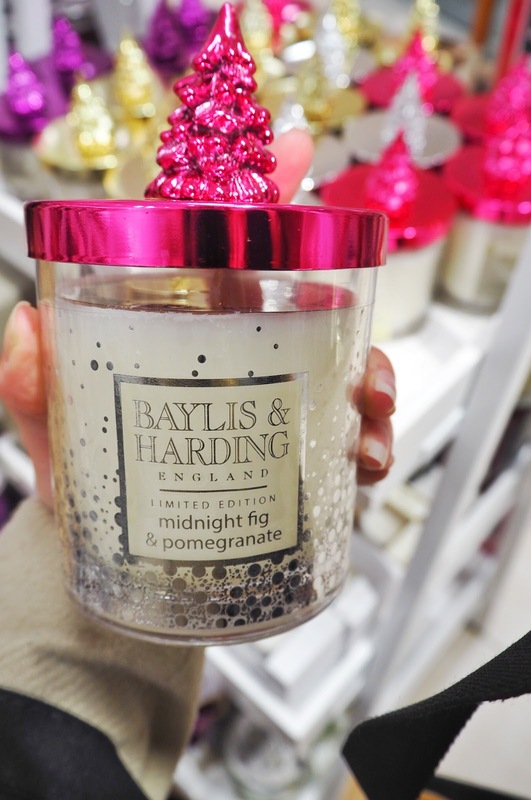 The mirrorball cocktail glass (New Look – £4.49) really caught my eye and makes me want to get my dancing shoes on right away, sip cocktails and dance the night away. 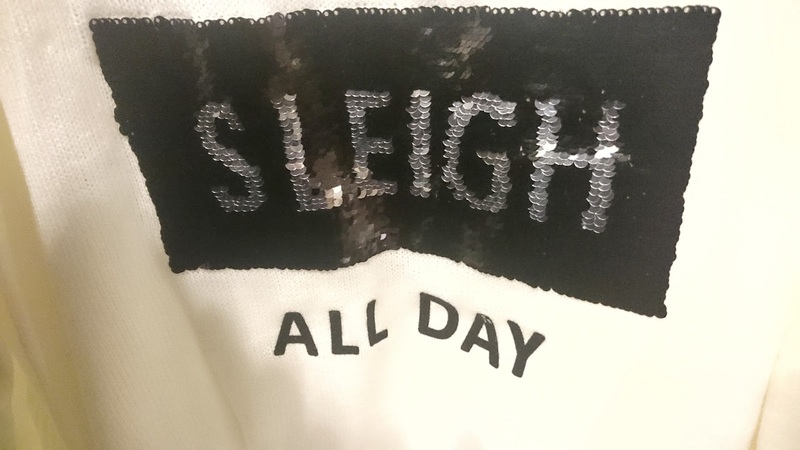 It is the party season after all! 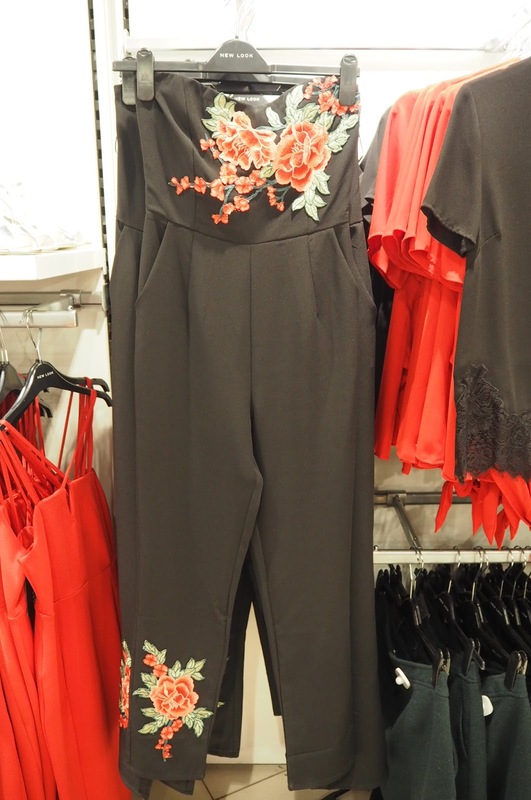 The floral jumpsuit from New Look (below) would look fabulous with a red lippy and some bright heels. 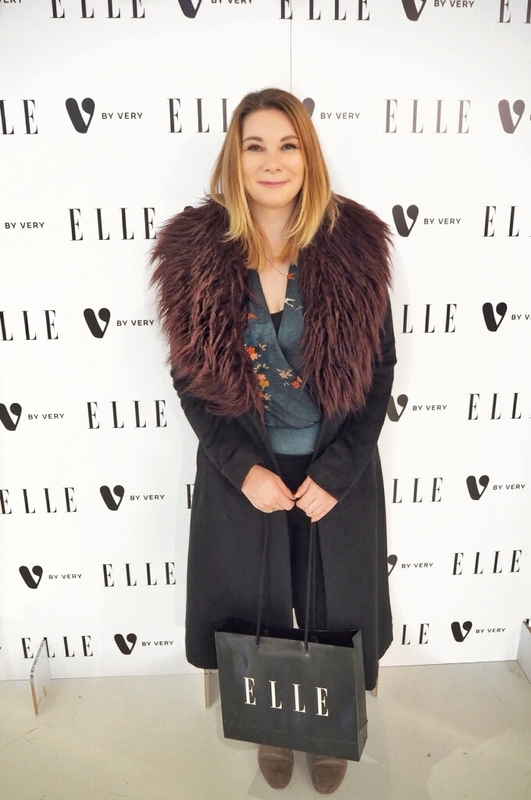 I purchased the below Zara bodysuit for the EllexVery event I attended in London (read here) and love how it can be dressed up or down, depending on the occasion. 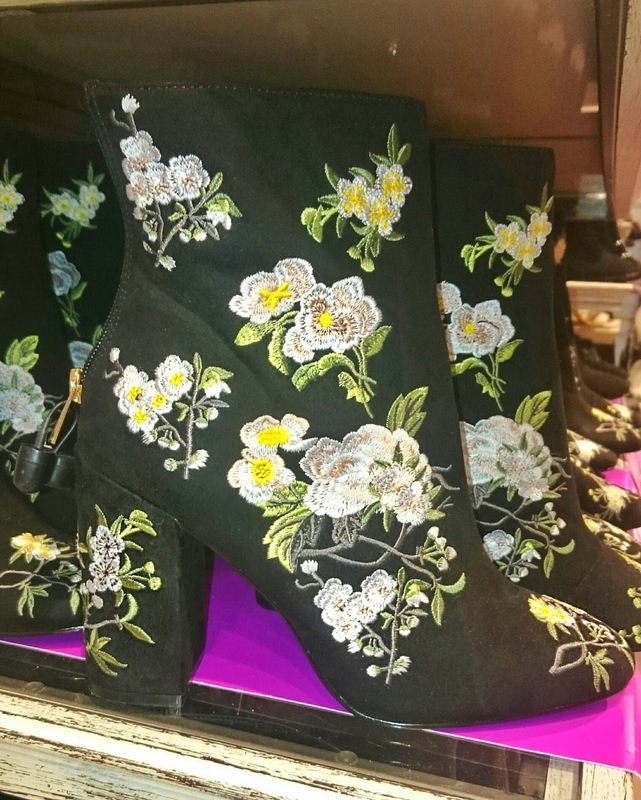 Known for it’s feminine fashion, Miss Selfridge does not disappoint when it comes to florals, with these boots really making a statement. 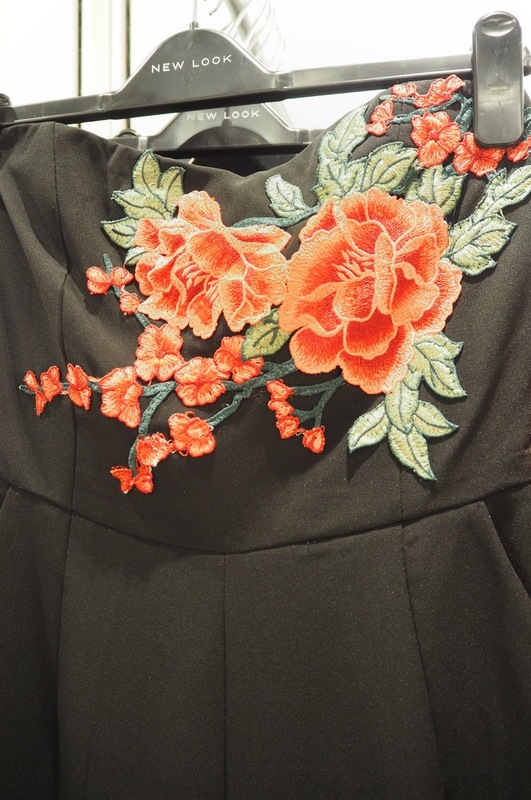 Ideal for adding some colour to a little black dress. 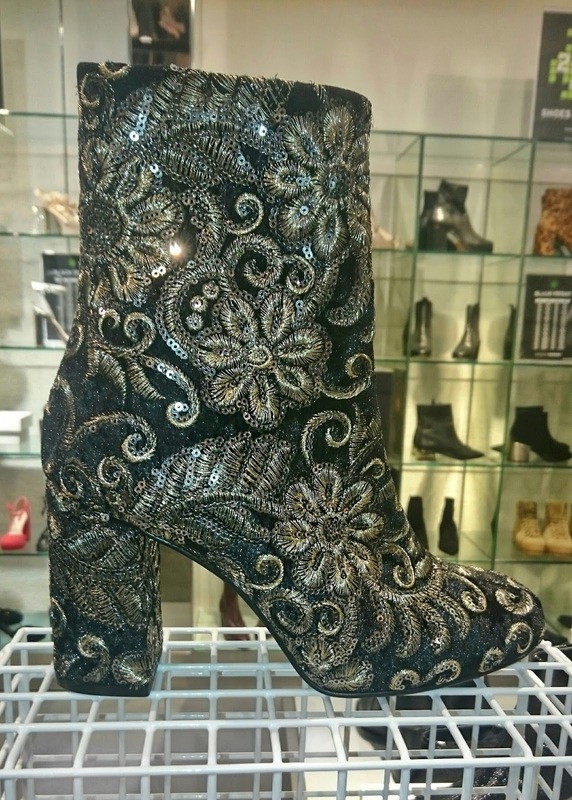 To give the look more of a dark, decadent Christmas vibe, these Topshop boots are sure to put a bit of sparkle in your step. 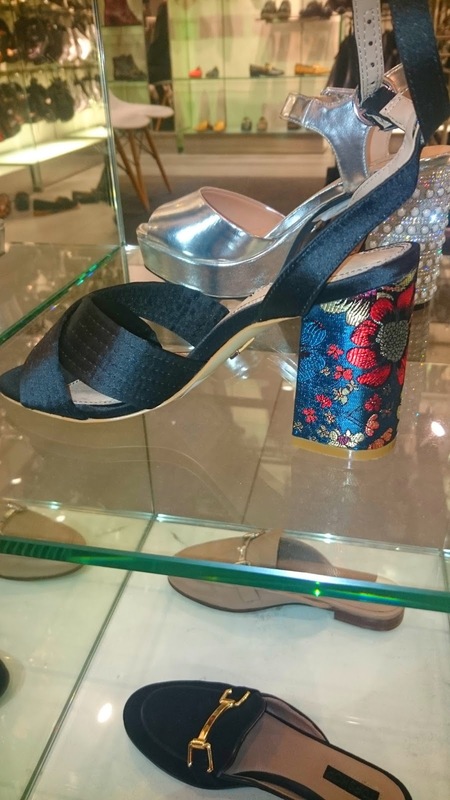 For a more subtle floral look, these Topshop strappy heels have an understated floral design on the heel. 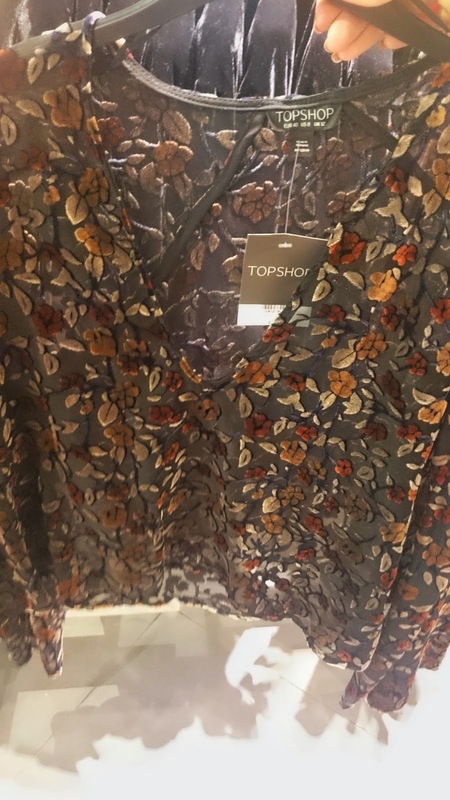 The below sheer blouse from Topshop has intricately designed velvet flowers in an array of Autumn colours and I would wear this over a black dress with black velvet boots or boots with a lightly coloured gold sparkle heel to give the outfit more of a Winter look. Also from Topshop, these statement jeans are on hand for a more casual look and could be incorporated with the also popular metallic or military trends. 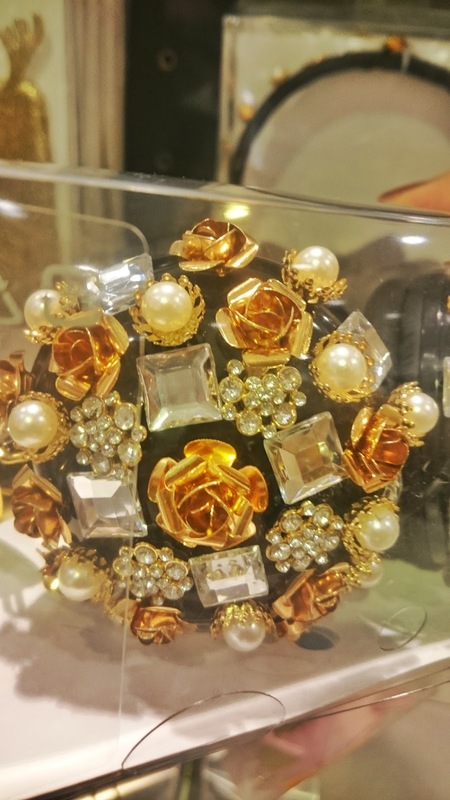 A brand I’ve been loving recently is Karen Millen, having attended the In Focus AW16 event in Covent Garden and more recently the #FindYourStar event at my local store at intuMK. 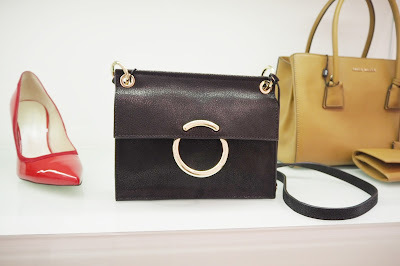 Having longed for the Chloe Faye bag (mentioned on my Christmas Wish List Post), Karen Millen have a very similar design priced at a more affordable £135. 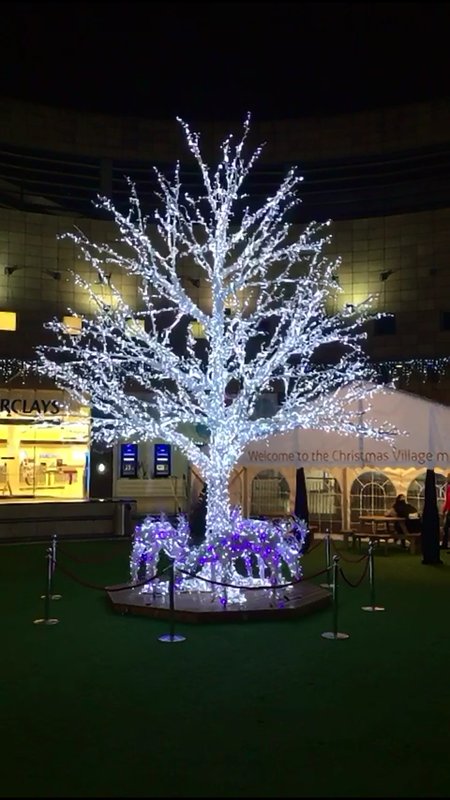 Feeling festive yet?! Head down to the Christmas Village located in intumk to pick up some unique Christmas items, such as The Amazing Chocolate Workshop’s innovative chocolate designs. 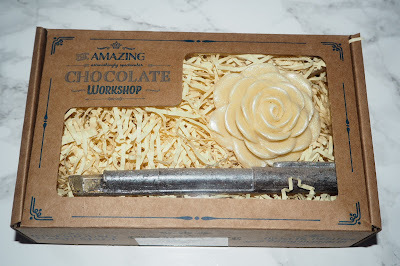 This chocolate fountain pen and rose would be an ideal thank you gift for a teacher and you can custom make your own box to suit individual preferences. One of my favourite past-times at Christmas other than making Chocolate Orange one of my five a day, is eating cheese! Therefore, I was bound to check out The Great British Cheese Company stall, located in the Christmas Village at some point…and boy I’m glad I did! There are a great selection of cheeses available, whether you prefer softer cheese such as Wensleydale or stronger fuller flavour cheeses, there are cheeses to suit every taste. After walking the line testing out all the cheeses (it would be rude not to) and chatting to the delightful Roy and Pamela who own the stall, Adam and I decided to purchase The Drunken Monk, Hoppy Days and Wensleydale & Rhubarb. Trust me when I say, they are A-mazing! 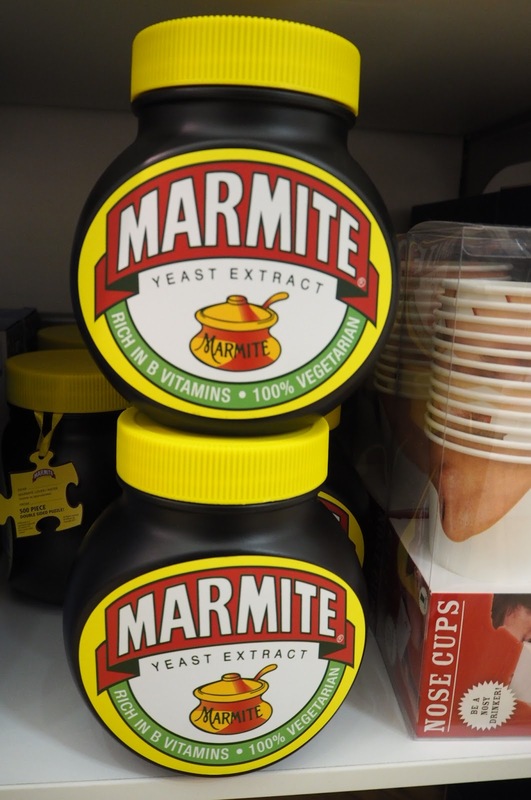 Ideal for Christmas tea or Sunday evening supper, the cheeses taste delicious with my mate Marmite! I hope this post has inspired you for your own Christmas gift shopping! 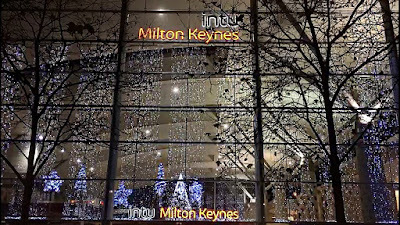 Make sure you sleigh this Xmas at intumk!